As part of the huge restoration undertaken by the National Trust throughout this historic building, a decision was made to install a biomass boiler at Tyntesfield House. Later a decision was made to install a second boiler at Home Farm. This now provides a gentle background heat to preserve the delicate fabric of the Grade I building and its contents. 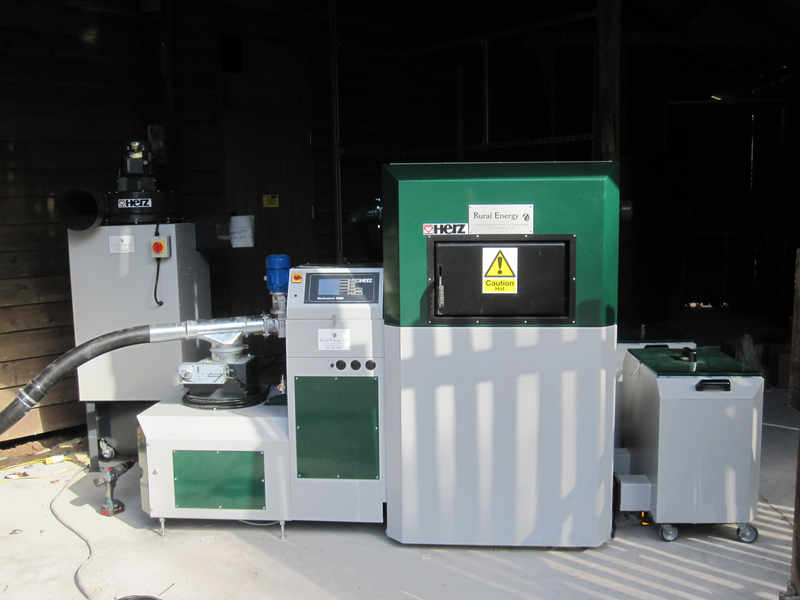 A new oil boiler provides a back-up but the peak load is supplied by the biomass boiler. Rural Energy installed the 250kW wood pellet burning Herz BioMatic biomass boiler in the old sawmill shed which is also home to a number of bats. The installation is unusual in that the shed is divided diagonally so that both the bats and the biomass boiler can be accommodated. The pellet feed screw passes through a corner of the bat house but otherwise the area is undisturbed, lthough consideration was originally given to routing the flue through the bats’ home to provide background heat for their comfort! All major components are sited on separate raised plinths to avoid damaging more of he existing natural earth floor than is necessary. The pellets are stored in an outside aluzinc prefabricated silo capable of containing 25 cubic metres which gives a minimum of 3 weeks supply. A dust sock is attached to the vent pipes, primarily for safety, so that when the fuel store is filled with pellets it prevents any dust particles from escaping. The boiler is estimated to cut CO2 emissions by 141 tonnes per annum, totalling 564 tonnes by the end of 2014. Due to the success of the project, a Herz BioMatic 220kW boiler was installed by Rural Energy at Tyntesfield Home Farm later that year.